Being thoughtful is a two-step process. If a man speaks or acts with a pure thought, happiness follows him. During a trip to India, I was in a taxi in Calcutta, the capital of the Indian state of West Bengal, stuck in traffic. Once India’s leading city, Calcutta has been in steady economic decline for many years. It is perhaps best known for its crowded, fetid slums, rickshaws — and Mother Teresa, who lived there. It is a chaotic, crazy place: the traffic, the noise, the colors, the jarring juxtaposition of the richest of the rich rubbing shoulders with the poorest of the poor. The city is a storm of sounds, smells, colors that assault your senses. My taxi was inching along a street teeming with people. There was a Mercedes in front of us, a rickshaw behind us, a cow, an overcrowded bus, shouting vendors, and men on mopeds whizzing by on either side. A man clad in rags slept on a filthy blanket on the sidewalk. Through the window of the car I saw a naked child, seven or eight years old, reaching his hand in a street drain. I said, “No, no. I want to understand. What is he doing? ” Once again he told me to ignore the child. I was speechless. I did not know what to say. I was completely frozen for several seconds that seemed a lot longer. When I regained my wits, I took the boy to a sweet shop nearby and told the man behind the counter, “Whatever this child wants, give it to him.” He chose a few things, I paid for them, and then we parted. My taxi had not advanced very far and I got in again. I did not think ahead before taking the child to the shop. It was an instantaneous reaction, much like the actions of the young man on the plane. Having witnessed extreme poverty during my childhood in Bangladesh, I knew that any human being, if they were hungry enough, might be forced to gather food from the gutter. If someone is starving and cannot afford anything to eat, and I can afford it, should I not help? Of course, I realize I cannot help to feed all of the hungry people in the world. But in that moment, it was my responsibility to help that child. Nothing more, nothing less. For that one moment I was able to have a small positive impact on the world around me, just as the young man on the plane that day made a difference to the elderly man. I believe there are moments like that in everyone’s day, although perhaps not so extreme or dramatic. Metaphorically, these are moments when a colleague, a friend, or a family member has a hand in a drain, searching for something they need in a difficult time, or who simply needs a “glass of water.” Those moments are opportunities to act in a thoughtful way: to be attentive to others, considerate, unselfish, and provide comfort or aid. Barbara, the wife of Kent, a good friend of mine, hurt her back, and given the pain, went to see a top back doctor. The doctor recommended surgery for a disk problem. She postponed the procedure for eight months, until the pain became so severe that she could not stand up straight. At that point her doctor, alarmed, told her, “Tomorrow morning, six a.m., you show up for surgery.” The next morning he did the procedure. After the surgery was completed, the surgeon came to the waiting room to tell Kent that all had gone well and that Barbara was in the recovery area. Kent and the doctor knew each other; they had friends in common and sometimes showed up at the same social events. Then Kent asked him the question that was on his mind. “Did you have the nurse come out especially for me, or is that something you always do? ” And was the practice part of the doctor’s training or a policy of the hospital? In other words, was this common among doctors? Being thoughtful is a two-step process. The first step involves listening: at work, to your customers and your employees; at home, to your spouse and to your children; in your personal life, to your doctor, elders, trusted friends, or experts. A typical study on our ability to listen (there are many out there) suggests that we listen about 45 percent of the time we spend communicating with others. But results of such studies vary widely and depend on the group of people in the study. For example, a 1980 study of United States college students re- ported that they listen 53 percent of the time spent in communication with others, while a study conducted in 2006 reported the time spent listening was as little as 24 percent. believed they communicate as effectively as, or more effectively than, their co-workers. But of course that is not possible; everybody cannot be average or above average. Whatever the amount of time we spend listening, I think we can all agree that listening is a critically important skill, and that we can do better. If you don’t listen to others, you cannot possibly be thoughtful. Yet most of us do not believe that we need to improve our listening skills; we overestimate our ability to listen purposefully and thoughtfully. We often mistake listening casually to someone speak as understanding what they’re saying. Yet too often we’re thinking about what we’re going to say in reply when it’s our turn to talk. At the end of the day, our ability to truly listen to others is in our hands. We can all improve our ability to listen. Listening to others purposefully involves not just hearing what they have to say, but trying to put yourself in their shoes. It involves empathy and understanding. Simply imagining that you understand what the other person is trying to say, without attempting to fully grasp why the other person is telling you what they are saying, does not demonstrate good listening skills. Yet I see this all the time in my consulting work. It is especially true of managers who are in other ways very smart people. They are so busy that they often don’t fully hear what the other person is trying to communicate; as a result, they jump to conclusions about what is being said, when they really only have half the picture. Why? They didn’t listen carefully enough, with purpose. 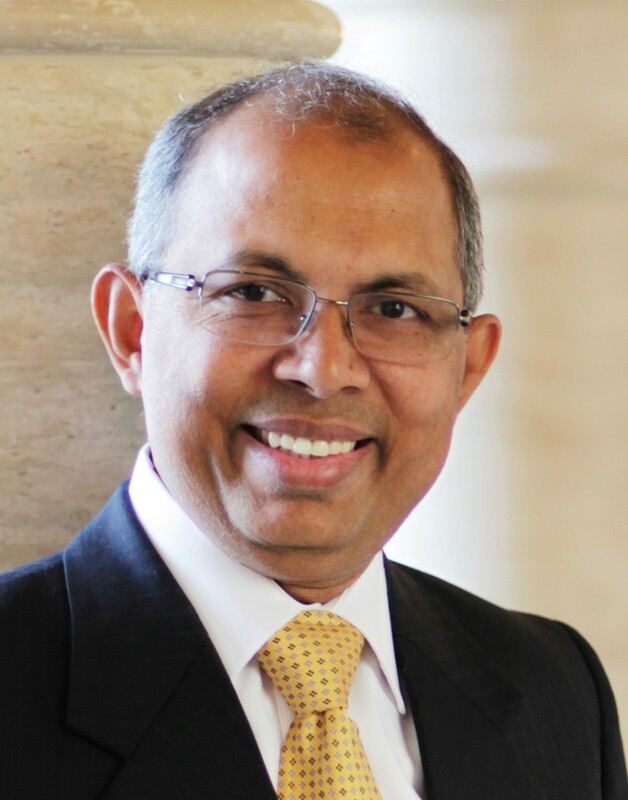 SUBIR CHOWDHURY is one of the world’s leading management thinkers and consultants, who works with Fortune 500 companies to improve their processes, operations, quality and performance. His clients saved billions of dollars by deploying process improvement methodologies. He is the bestselling author of The Power of Six Sigma, and The Ice Cream Maker. Chowdhury lives in Los Angeles. For more information on Subir andThe Difference please visit subirchowdhury.com or follow him on Twitter (@subirchowdhury) and Facebook (@subirchowdhuryauthor). Reprinted from THE DIFFERENCE: WHEN GOOD ENOUGH ISN’T ENOUGH Copyright © 2017 by Subir Chowdhury. Published by Crown Business, an imprint of Penguin Random House LLC.